If you’re involved in the building industry in Lincoln and surrounding communities, consider joining one of the most active, prestigious organizations in the area! The Home Builders Association of Lincoln (HBAL) provides many benefits to its over 500 members and offers numerous ways for members to grow their businesses. Develop Contacts with other Builders and Subcontractors HBAL is the place to develop valuable contacts within the industry. With monthly General Membership Meetings, committees, councils and annual functions, you’ll have the opportunity to build relationships with other HBAL members. Prestige and Credibility The HBAL logo will add credibility to your business. As a member, you’ll have access to HBAL logos for use on your business cards, brochures, display ads, Web site, signs and vehicles. HBAL Membership Directory & Buyer’s Guide Your business will be listed in this annual directory which is distributed to every HBAL member. Your business will also be added to our online Member Directory with links to your Web site and e-mail address! 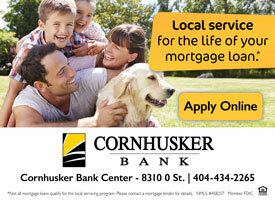 We strongly encourage our members and Nebraska shoppers to use the products and services of fellow members. Lincoln Business Builder Each month, members receive the Lincoln Business Builder. This publication keeps you up-to-date with news you can use: meeting notices, convention dates, social events (like our annual golf tournaments), and other upcoming current events. Getting involved is easy and the rewards will last a lifetime. Online versions of the Lincoln Business Builder can be found here. Home & Garden Show This event is held every February at Lancaster Event Center. With over 250 exhibitors, this 4-day show is a great way to get your products and services in front of thousands of home owners. Parade of Homes The Spring and Fall Parade of Homes offers builders a highly-visible opportunity to showcase their homes. Our large advertising promotion adds to the success of creating awareness and increasing sales for those who participate. The Parade Guide Book is distributed to thousands of visitors during both Parade of Homes events. Tour of Remodeled Homes This annual event benefits members of the Remodelers Council of Lincoln by providing a showcase in which to display what professional remodelers can do. Membership Mailing List For a nominal fee, you’ll have access to envelope-label lists for direct mail campaigns. Lobbying Efforts Membership in the HBAL gives you a voice in government on the national, state and local level through its active political committee called HOMEPAC. Education As an HBAL member, you’ll receive building news through the Lincoln Business Builder (HBAL’s monthly publication). Educational opportunities are also available to help you build your business. Coupons, Exposure, Discounts Joining the HBAL can seem like a big expense, especially to a small company. But the value you get out of your membership is worth much more than your investment. Sign up now by downloading the Membership Application and returning to us with payment. Once we’ve received your application, it will be up for approval at our monthly board meeting. After your membership is approved, you will receive a member packet. If you are an employee of a company that is already a member of HBAL and you would like to join as an affiliate member, click here.